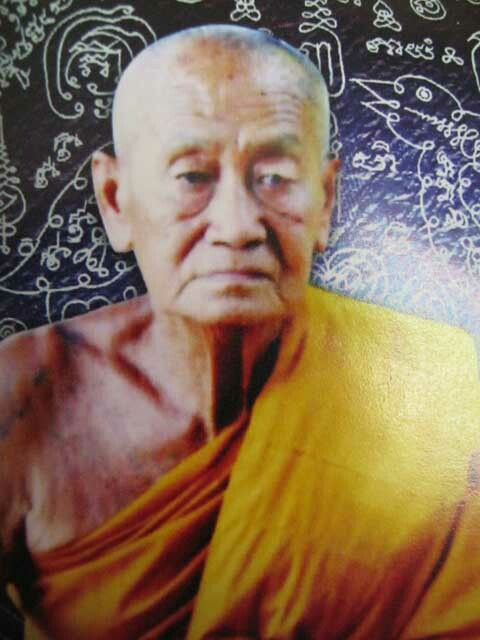 Luang Por Bpan Gadtabano of Wat Na Dee in Sra Buri, is a Master Gaeji Ajarn of the present Era, who was reared by Luang Por La at Wat Gaeng Koi from a very young age of seven years old. 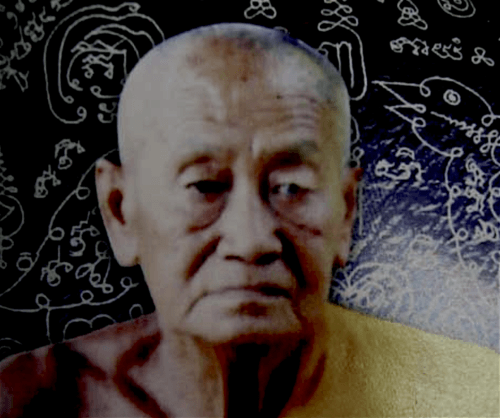 He was entrusted to Luang Por La by his Father after his Mother passed away. He stayed helping and learning from LP La until he reached the age when he had to do National Military Service, when Luang Por La then ordained him and continued to teach him in Dhamma. His real name was Somburn Chid Tak. His Father was named Prohm Dee and Mothers name was Nong Awn. He was born in Koke Grung. They moved with his Father from Koke Grung to Farm the land at Gariang Kor Ma in Gaeng Koi, which was the birthplace of his Mother. Not long after moving to Ban Gariang Kor Ma (‘Gariang Kor Ma’ means ‘horse neck Karen’ referring to the long necked karen Hill Tribe people). 2490 – In this time, it was Second World War, and Gaeng Koi was recieving lots of shelling from enemy bombers. Some bombs fell on Wat Gaeng Koi, but did not explode. One bomb fell right in front of the Kuti hut of Luang Por La, but just fell dead and buried itself in the ground. This caused the Local people of Gaeng Koi to flee to Wat Gaeng Koi as a safe haven from the bombings. They did this every time that shelling occured until the end of the War. Luang Por La Chayamangkulo (Pra Kroo Suthorasantagij) remains a famous Guru Monk to this day, and his Monk Coins with his image have become an essential rarity with his Looksit and amulet collectors around the World He was very skilled in various Wicha Saiyasart. As of that point, Luang Por Bpan learned Dhamma practice in the Kammathana method, and Wicha Akom with his Great Uncle Luang Por La and had many Looksit from the beginning onwards. After some time, he asked leave of LP La and went to stay in a small forest temple (Samnak Songk) in Ban Gariang Kor Ma. He then learned some more Wicha Kata Akom from his father, who was also a skilled Master of Kata.He then continued onwards to stay at Wat Koke Grung, where he learned many new Wicha of the Maha Sanaeh variety as passed down from ancient Masters through the tradition of Gariang Kor Ma. 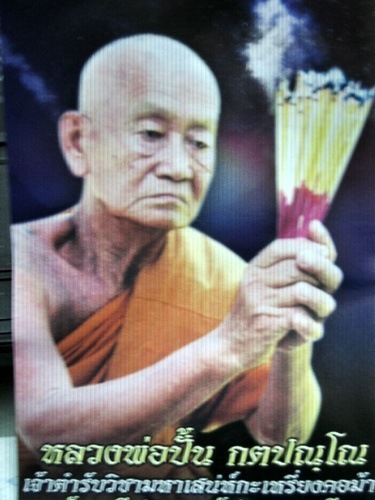 He learned these spells from Luang Por Hwang who was a Master of the Gariang Kor Ma Wicha. He learned so many Wicha under LP Hwang that one day Luang Por Hwang said that he had no more Wicha left to teach Luang Por Bpan, and that he had completed the Kampir.